Let's hear it! 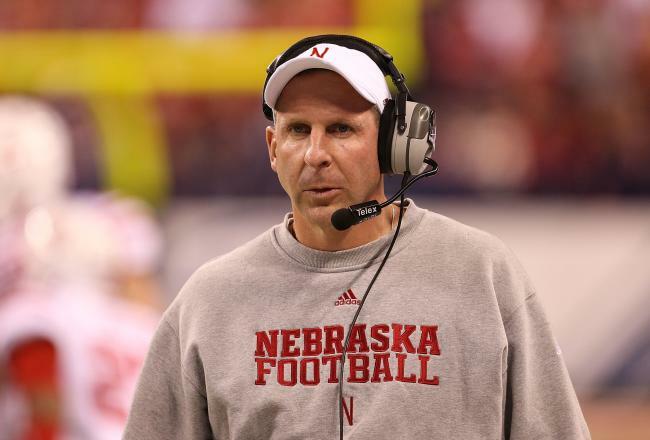 Who do you think is most likely to replace Bo Pelini as the next head coach at Nebraska? I've seen Jim Tressel's name pop up quite a few times, thoughts on this?? Only Lane Kiffin can bring UNL into the modern era. I thought Kiffin would only coach in Texas. But will he leave Texas? He's claimed not in the past. No way to Tressell.. Left Ohio State as a cheater.....Scott Frost... Oregon's Offensive coordinator... Or bring back Frank Solich!!!! Frost is good, Solich was not a good recruiter. He's a good coach for Ohio, not for us. Scott Frost. Those who say he's not ready....well, not ready for what, giving up 800 rushing yards to Wisconsin or losing to Minnesota every year? And yeah, so what, he got handed the keys to a Ferrari over at Oregon, but at least he's proved he knows how to drive it. Scott Frost is unproven as a head coach. NU can afford someone with experience. That said, not Tressel! Let's get this party started..Pat Narduzzi as DC and Scott Frost as HC..a winning combination! How about Dan Mullen from Mississippi State? I like Scott Frost, but I don't know if he is ready yet as a HC. It is always a risk, if we don't consider him and he goes to be a HC at another program and excels, then he may not want to come to NU down the road. If Dan Mullen comes he brings the experience of being a head count, developing a full program, hiring coaching staff and competing in a high profile conference. I wonder if Scott Frost would consider coming as the OC and having his $400k Salary Doubled? Would Dan Mullen consider Scott as the OC. Bring in Jim Tressel (I know, he has some NCAA issues to resolve) as HC. Bring in Scott Frost as the OC who by working with Coach Tressel would gain experience in competing in the BIG Ten, then Frost could eventually take over program as Tressel retires. The DC is a question mark. I like Muscamp who will step down as HC at Florida. A great Defensive Mind, but maybe not so much as a HC.